are found inlumps on the roots called root nodules. 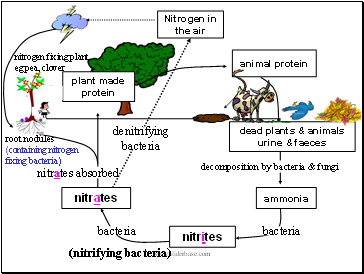 The bacteria and the plant have a symbiotic relationship: the bacteria benefits by having food and shelter from the plant and the plant benefits by having nitrates produced by the bacteria. 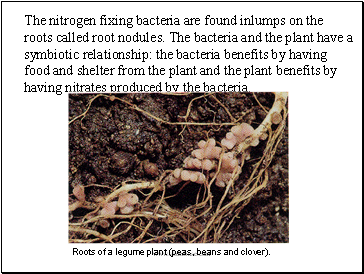 Roots of a legume plant (peas, beans and clover).